I don't have Query Analyzer installed anywhere but even in SSMS there is an option to script the dependent objects...luckily the default is false.. So I got a nice call from one of the New York City agencies that data wasn't there. I was just about to start my lunch. I lost my appetite real quick. SO what I did was take a full backup and then did a restore with stop at to 2 minutes before I dropped the table. This worked and all the data was there. I however lost my appetite and did not eat my lunch that day. But I can tell you that I have never dropped a table again. So this was done.... an hour or 2 passes and we get a call that the original table doesn't exist. Staging server, test server..what's that? One time I had a query window open in SSMS and there was an insert or update statement and nothing else. hit F5 and casually walked away. After a couple of minutes some people told me things started to take a long time and timing out. Alright I executed sp_who2 and saw a SID in the BlkBy column in many rows. Ready to go find the person and give this person a nice lecture, I noticed that the SPID was mine? WTF, I looked at my query window..nothing. I then scrolled up and as you can guess by now there was a nice BEGIN TRANSACTION statement at the first line.... Argh... so I commited the thing and that was the end of that. At least I didn't go home for the day yet. The request was that support wanted to know immediately when an order was placed. No problem, we can add a trigger that populates a table and then we have a job that runs once a minute to email the support group. Sounds reasonable right? Someone decided to do a little testing.... this person created 100,000 entries.... I guess you can imagine what happens next. Yep, the email server was overloaded. We had to quickly delete these rows and truncate the table that was used to send the emails. 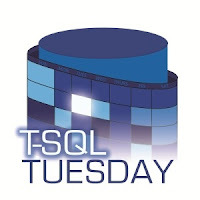 I will leave you with this horror story from the microsoft.public.sqlserver newsgroup, I tried to find this thread but I was unable to find it. Some person tried to do a backup but this person got confused and somehow managed to do a restore from the only backup they had, this backup was 1 year old. The advice this person got? Update resume.